Materials: Lily Trotters proprietary weave is manufactured on state-of-the-art knitting machines using the finest quality Nylon. 93% Nylon - 7% Spandex. Rejuvenate legs by eliminating pain and fatigue while exercising. Support calves and shins during high-impact activities. Control swelling, reduce heaviness and feel energized on the run! Style: Fun, original and sassy DESIGNS knit into our proprietary, luxurious-feeling weave. Our entire Signature Collection has been designed with fashion and fitness in mind. Runners and other athletes no longer have to choose between the athletic no-show socks they love and the breakthrough benefits of compression. With Lily Trotters Signature Compression ™ calf sleeves , athletes can have their (cute) compression and no-shows too! Give your legs some ((hugs)) and thank them for all the places they take you. Comfort: EASY ON & EASY OFF - this is the #1 RAVE and what sets Lily Trotters apart from the rest! We use only the finest quality nylon yarns. Whether you are running a 5k or a 50k,…your legs and feet will thank you! Performance: Lily Trotters sleeves are gear, built to enhance athletic performance. Enjoy the compression benefits of enhanced athletic performance, increased blood flow to your heart, higher blood oxygen levels and minimized lactic acid build up. 15-20 mmHg is the optimal strength for athletic performance. For performance only! Wear calf sleeves while exercising to enhance performance and recovery time, when your body is in constant motion. 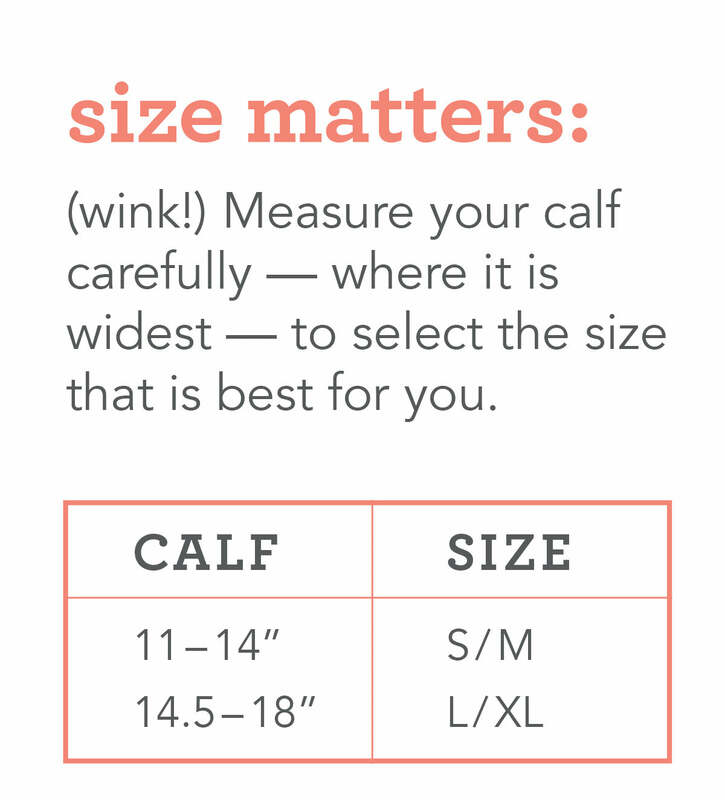 DO NOT WEAR calf sleeves for extended periods of time while stationary. Wear a full Lily Trotters compression sock after workouts for recovery, travel, while sitting or standing for long periods and for general vein health.